(Linda Miriam Aziz-Zadeh) Do you know the healing effects that occur when you alkalize your body? I have suffered from digestive issues since I was a teenager; by learning how to regulate my body’s pH with some simple steps, I was able to radically shift in my quality of life. The more I learn about natural medicine, the more I’m amazed by how much all the different systems of our body are effected by what we put in (food, drink, medicine) and put out (exercise, deep breathing, meditation). My best friend who suffers from asthma recently realized she could control her asthmatic symptoms by changing her diet and exercise routine. And there are reports that illustrate how diseases, such as MS, affect the nervous system and how diet can help alleviate symptoms. All of this, in so many ways, comes down to making sure your body is alkalized. A fish cannot live in water that is too acidic. So too, most diseases cannot manifest in an alkaline environment. This is because when your body struggles to maintain the relatively tight blood pH required for survival, it can result in inflammation – which all too often results in disease. How Does All this Science About Our Body’s pH Work? You can measure the level of acidity in almost anything – water, soil, animals, plants, and people by measuring its pH. The pH measures the concentration of the hydrogen ion in the body and works with a scale that goes from 1 to 14. A pH below 7 is considered acidic, a pH of 7 is neutral, and anything above is considered basic or alkaline. The ideal pH for our bodies is slightly alkaline: 7.30 to 7.45. Let’s Get That pH Alkalized! First of all, ideally a person should only have 20% acidic foods (i.e. meat, dairy products, refined carbohydrates [including sugar], and coffee). The rest of one’s diet should be filled with more alkaline or neutral foods. In addition, here are some tips to getting rid of toxic acids and becoming more alkalized. 1. Alkaline water: Water generally has a pH of 7. Alkaline water has a pH of 8 or 9. This is due to an increased number of minerals in the water. Several studies prove that this water alleviates certain conditions. One study suggests alkalize water may benefit people suffering from high cholesterol, blood pressure, and diabetes. Another study shows how drinking alkaline water (of a pH level of 8.8) can help deactivate pepsin, the main enzyme causing acid reflux. 3. Baking soda and water: This is one of my favorite ways to alkalize, because it’s easy and you can feel the effects right away. My parents, who were never into natural health, were able to get off their acid-reflux medication just by using this trick and trick number 3 (below). Mix a teaspoon on natural baking soda in a cup of water, and drink it first thing in the morning. 4. Aloe vera juice: Aloe vera juice alkalizes the body, helping to balance overly acidic dietary habits. It also helps . Just make sure the aloe vera juice you get doesn’t have carrageenan You can make your own aloe vera juice by scooping out the pulp inside the leaves and blending it with water. It’s a good idea to have an ounce of aloe vera juice first thing in the morning on an empty stomach. 5. Lemon/lime water: This is another good thing to mix into your morning routine – and throughout the day. Just squeeze the juice of a whole lemon into a pint of water. Although lemons are acidic on their own, when they go into the body, they metabolize and become alkaline. 6. “Green drinks” & “Green foods”: Foods that contain a high level of chlorophyll, such as spirulina, chlorella, and the juice of wheat grass and other sprouted grains are all extremely alkalizing. When your body is struggling to balance its pH on its own it often sacrifices calcium in the process. Therefore, taking such chlorophyll-rich foods promotes increased bone mass. 7. Coconuts: Coconuts are extremely alkalizing and they have been considered to be a miracle food for their many other benefits as well. 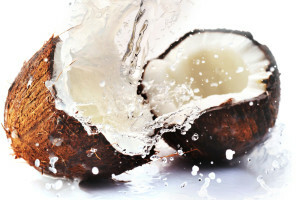 You can enjoy a hydrating coconut juice, cook with coconut oil or coconut milk, or eat fresh coconut meat. Coconuts are a great source of energy, improve digestion, bowel functions, and food assimilation, support tissue repair, dissolve kidney stones, promote weight loss, boost your immune system and stamina, and do much more. 8. Reduce your stress levels: Stress messes with your body in intense ways. When you’re stressed out, the digestive system shuts down and toxic acids don’t get naturally eliminated. When there is a buildup of toxins in the body, your body stores these acids in your fat cells. So make sure you add yoga, meditation, deep breathing, thai chi, and any other stress-relieving activities to your daily routine. 9. Exercise: Exercise gets the acidic waste products that get stored in your body move around, so you can better eliminate them. Make sure to get in several work-outs a week, or better yet, try to live a more active lifestyle that incorporates exercise in a natural way (i.e. walk or bike to work, take the stairs instead of the elevator). 10. High-quality daily multivitamins: Find a multivitamin also includes bio-available, alkalizing forms of calcium and magnesium. This will make sure your body is set with reserves and will also offset any nutritional gaps. About the author: Linda Miriam Aziz-Zadeh is a freelance writer and editor who is passionate about preserving the natural beauty and wonder of our bodies, this planet, and the world.